We started this blog so that we can share our touching stories of the amazing people we have met along the way within our new journey. If you know someone you would like us to pay a visit to or if you have a story to share,please get in touch with us! -We are always in need of an extra hand to spread the love. Anything you might feel compelled to give, we would love to hear from you. Thank you Jesus for this journey! As you can tell, we’ve taken a blog hiatus. Is there anything you would like to see more of – summer time activity with the kiddos? Bible verses? Inspiration? It’s that time of year again – SUMMER TIME!! How are you spending these beautiful summer days? Beach…pool…vacation? We’d love to hear your ideas! As I was folding my son’s pajamas and t-shirts the other day I turned on the TV and settled on a silly chick flick that I figured would help pass the time a little. I usually don’t expect much in terms of meaningful dialogue from a movie like this one, but something a character said caught my attention. In one scene, a woman told her friend that she had finally gotten “all that she had ever wanted.” As I folded the clothes into neat piles in front of me, I wondered if I could really say that I have all I could ever want. Because the truth is, I spend a lot of time thinking about what I want and how to get it. And some of the things that I spend time wanting are good things like a home with a bigger back yard, another child or blessings for my husband and son. But often the things I want are really trivial things like a new purse or iPad or jogging stroller. Not necessarily bad things, but not worth the time I spend plotting how to get them. A few days later it was Mother’s Day. And as I sat in church and listened to amazing music and a completely inspiring message for moms, which was in no way a cheesy mom sermon, I realized that I really do have all I could ever want. I have a husband who loves me, a son who brings me joy, a home that keeps us warm and dry, clothes on my back, food on my table. I have all I could ever want. And I guess that’s the meaning of contentment. If all the great things that I just listed are all that are to be for my life, I’ll be OK. If the buck stops here, I can deal with that. I don’t think that means I have to stop wanting the good things. But if we don’t get to move to a house with a big backyard, OK. If we aren’t blessed with another child, OK. If I don’t get to write a book and go on a book tour, OK. Not getting some of these things might hurt, but I’ll make it. I can be content with my life if I choose to be because God has blessed me with all I could ever want. I won’t stop asking him for the good things, but it’s time to stop thinking so much about the not-so-meaningful things. For me, being content takes some work, but it’s worth it because contentment is what I really want. May you be blessed with a day of fun, relaxation, and love! 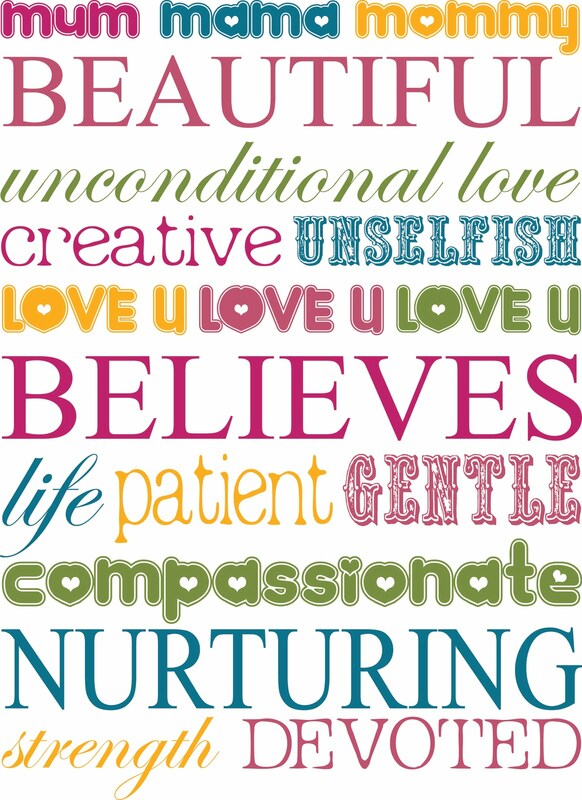 This day is YOURS – we give thanks for all that you do on a daily basis – you are SUCH a blessing to them and future mothers out there. We love you and give thanks for you! The mental pressure arising from our Lord’s struggle with temptation, so forced his frame to an unnatural excitement, that his pores sent forth great drops of blood which fell down to the ground. This proves how tremendous must have been the weight of sin when it was able to crush the Saviour so that he distilled great drops of blood! This demonstrates the mighty power of his love. It is a very pretty observation of old Isaac Ambrose that the gum which exudes from the tree without cutting is always the best. This precious camphire-tree yielded most sweet spices when it was wounded under the knotty whips, and when it was pierced by the nails on the cross; but see, it giveth forth its best spice when there is no whip, no nail, no wound. This sets forth the voluntariness of Christ’s sufferings, since without a lance the blood flowed freely. No need to put on the leech, or apply the knife; it flows spontaneously. No need for the rulers to cry, “Spring up, O well;” of itself it flows in crimson torrents. If men suffer great pain of mind apparently the blood rushes to the heart. The cheeks are pale; a fainting fit comes on; the blood has gone inward as if to nourish the inner man while passing through its trial. But see our Saviour in his agony; he is so utterly oblivious of self, that instead of his agony driving his blood to the heart to nourish himself, it drives it outward to bedew the earth. The agony of Christ, inasmuch as it pours him out upon the ground, pictures the fulness of the offering which he made for men. Do we not perceive how intense must have been the wrestling through which he passed, and will we not hear its voice to us? “Ye have not yet resisted unto blood, striving against sin.” Behold the great Apostle and High Priest of our profession, and sweat even to blood rather than yield to the great tempter of your souls. Too busy to check on us. Do it for a Momma! 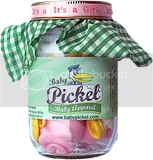 I want a baby jar!